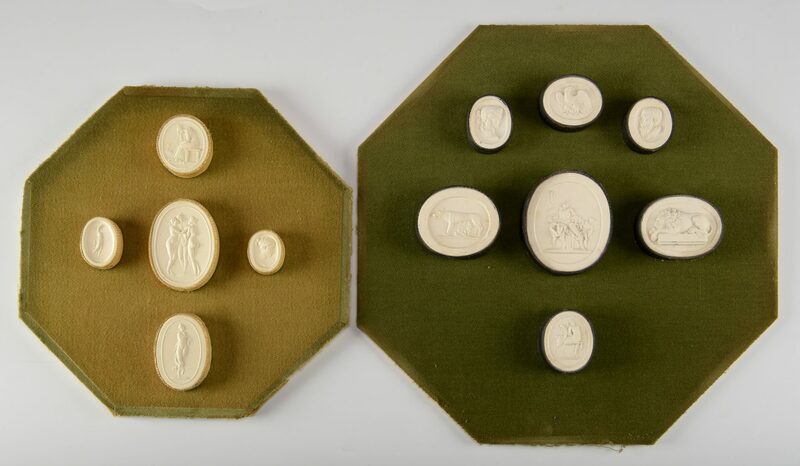 1st item: Collection of 7 miniature white porcelain oval medallions or plaques, circa 1820, motifs including eagle, classical busts, Rebus and Romulus with the wolf, mythological figures, lion on pedestal, and a satyr. All individually wrapped in black side casing and mounted on green velvet and cased in a 10″ octagonal ebonized and giltwood contemporary frame, under glass. Sizes range from 1″ to 2″ height. Possibly Wedgwood. English, circa 1820. 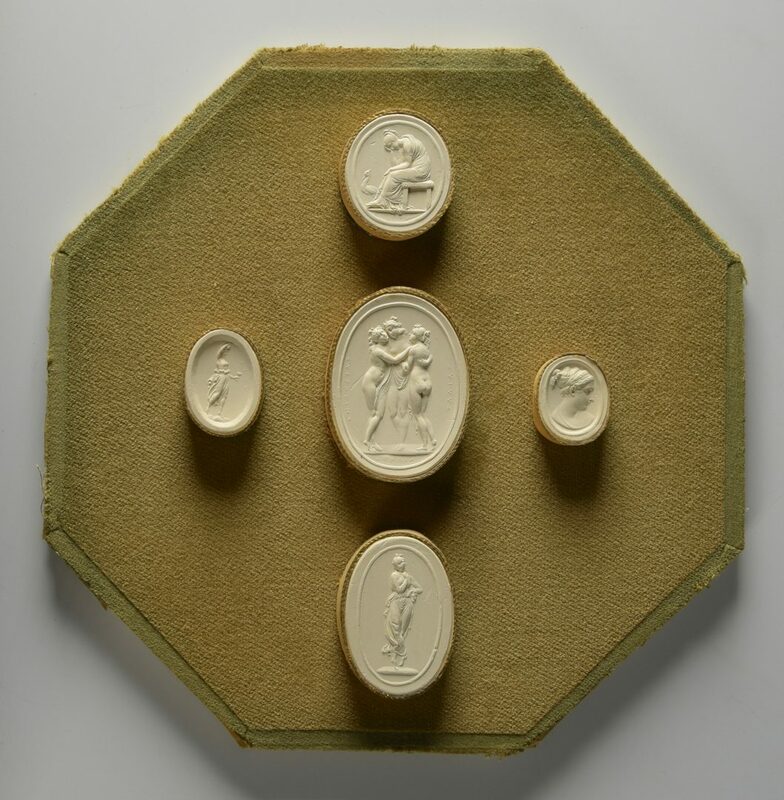 2nd item: Collection of 5 miniature white oval porcelain medallions/molds or plaques, circa 1820, motifs including Leda and Swan, the three graces, one female bust and two female classical figures. 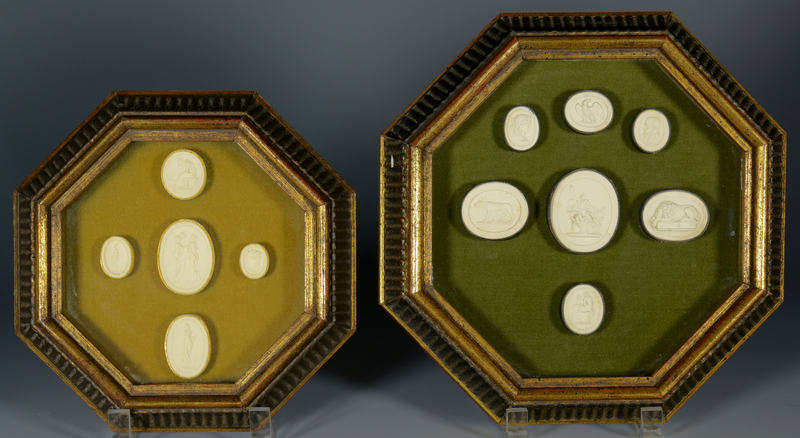 All individually wrapped in tan side casing and mounted on green velvet and mounted in an 8″ contemporary ebonized and giltwood molded frame. Heights range from 3/4″ to 1 5/8″. 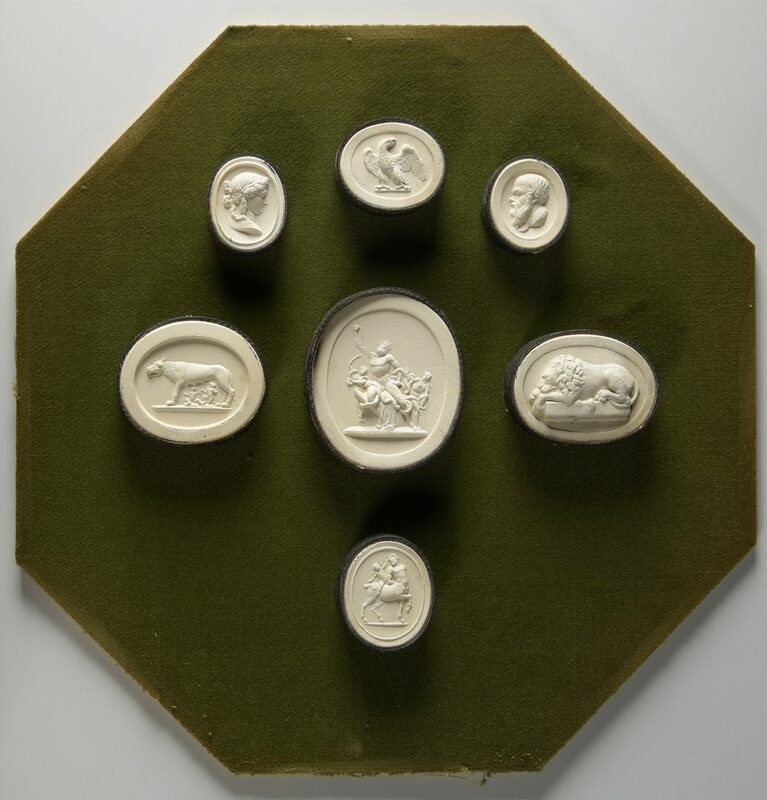 Possibly Wedgwood. English, circa 1820. CONDITION: Some with minor discolorations, overall excellent condition.